Both Puyo Puyo and Tetris are action puzzle games in which you need to create specific combinations of objects as they fall down a well-like container, in order to make them disappear and prevent the well from filling up. 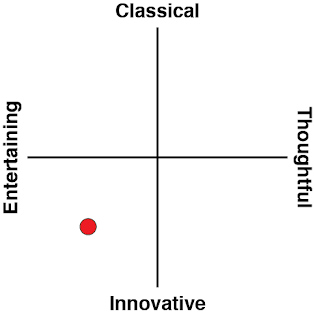 Despite that similarity, before playing Puyo Puyo Tetris I'd think you’d be hard pressed to see how combining the two would work. Related reading: One of the better Tetris games in recent years has been Tetris Axis. Clark's review of the game here. And yet it does indeed work. Puyo Puyo Tetris is an absolute delight, from beginning to end, with enough raw content that you’ll never get sick of the game. It’s also perfect for the Nintendo Switch and portable gaming sessions, making it the first absolutely essential third party title on the console that works better on Switch than the PlayStation 4, where it has also landed. There’s three ways to play. There’s standard Puyo Puyo; where organic blob-like objects fall from the sky, and your goal is to match four blobs of the same colour in order to make them disappear. There’s standard Tetris, where you’ll need to create horizontal “rows” of hard blocks that fall from the sky in a range of different shapes, and then there’s Puyo Puyo Tetris, which somehow combines the two into something crazy, but beautiful. 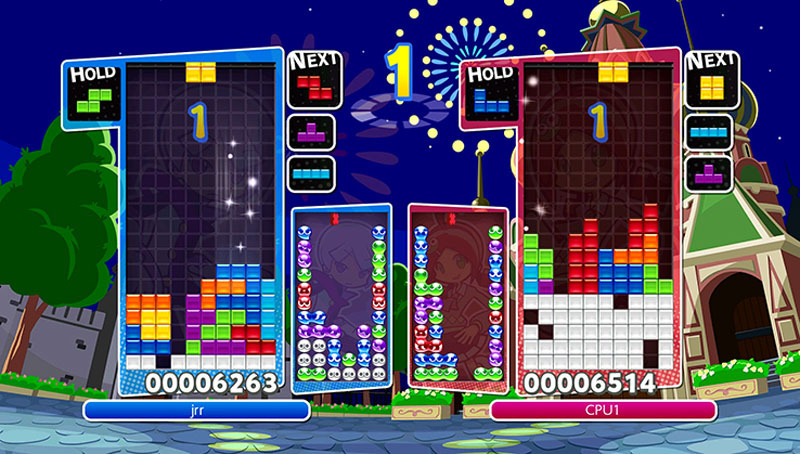 In Puyo Puyo Tetris, the game plays out in phases. Firstly, a couple of Puyo Puyo will fall into the gameplay area. Then a couple of Tetris blocks will. 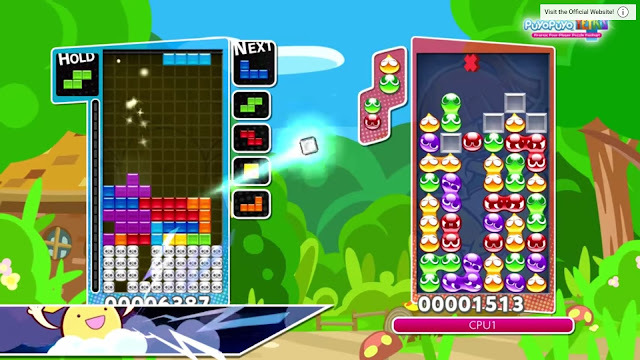 What is most challenging about this is that Tetris blocks can’t be used to make Puyo Puyo disappear, and vice versa, so this mode quickly spins into a mad juggling act that is, truth be told, quite difficult to follow. 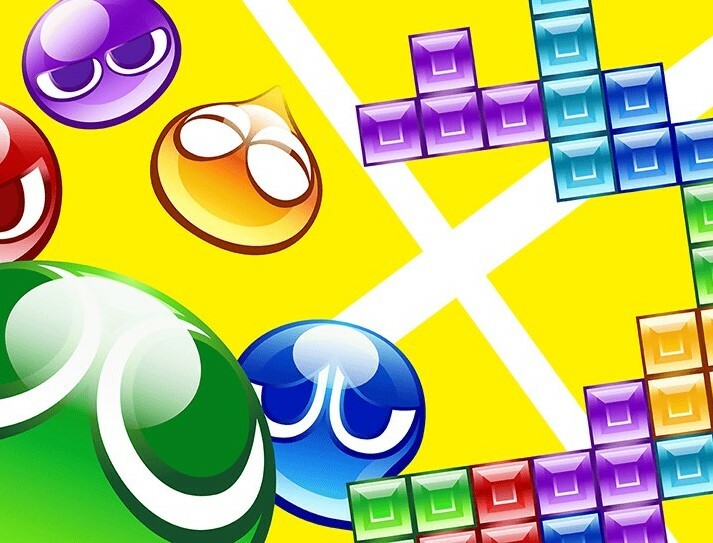 I would constantly annoy myself by letting Tetris blocks land in areas where they would later cause me trouble because my mind would, for the briefest moment, fail to differentiate where I’d stacked my Tetris blocks up against the Puyo Puyo. That might sound like it’s frustrating, and to an extent it is, but this gameplay mode is also a thing of mad creative genius. You’ll never go from being temporarily frustrated to annoyed, because it's all so darn quirky and charming that you’ll immediately forgive those moments where the game will make you want to scream. You’ll also know instantly after starting the game that this is one where you can become a true master at. You’ll also realise that quickly when you jump into the online mode, get paired with a Japanese player and seconds later regret even starting the game. 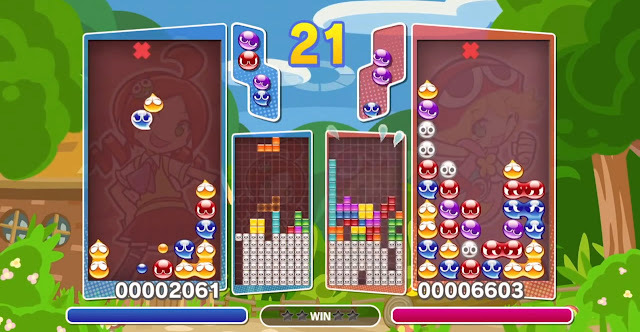 Playing well and racking up big combos of blocks in Puyo Puyo Tetris will send your opponent masses of “blank cubes” which naturally fill up the screen and get you close to the dreaded loss. Against a good player, the already chaotic play becomes even more chaotic, as you both send these blank cubes back and forth like the pitter-patter of a rainstorm. It’s impossible to shake the feeling that the rest of the game is constructed around preparing players to play Puyo Puyo Tetris online. The other two main play modes allow you to practice your Tetris and Puyo Puyo skills in isolation, and they work a treat, though it’s nothing that we haven’t seen dozens of times in other games in their respective franchises. There’s a story mode that is almost painful in how utterly cheesy the narrative is, though it gets away with it by virtue of everything about the game being so charming that you’ll laugh along with its bombastic nonsense. And there’s a pile of gimmicky multiplayer modes that throw items and other random functions into the mix. These can all be played either in local or online multiplayer, though the only “competitive” mode that counts towards your global ranking is the standard Puyo Puyo Tetris itself. These minigames are all entertaining in their own right, though not as skill-based, and therefore not as fulfilling as the main game. It’s also impossible to play those modes in singleplayer. Puyo Puyo Tetris is the kind of game that you want to have on your Nintendo Switch for gaming on the go. Not only do you have 2-player multiplayer just sitting there in the default unit, with each player taking a Joy-Con controller and sharing the screen, but the game doesn’t require big controllers, loaded with buttons; what you have with the Joy-Cons is enough for genuinely comfortable play. 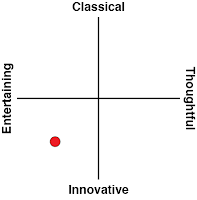 The style of play suits the format, too; it’s that perfect kind of game for short play sessions. When Nintendo was promoting the Switch before launch with footage of people playing the console on the plane and so on, I was skeptical enough, in that I couldn’t see myself going to all the effort to play multiplayer games on the plane with others. The environment is just too cramped and public for that kind of "TV" multiplayer action. But now I can easily see myself playing Puyo Puyo Tetris on my next flight to Japan with my wife. The screen's the perfect size for this kind of action, and it's easy to play for five minute bursts, or even while having the in-flight movies or music on in the background. It’s such a bright, colourful, and happy game, too. It takes a lot of work to give Tetris colour and charm, as the base Tetris game and its uniform, neat, blocks, offers the kind of cold, precised presentation that you would expect from a mathematician. Bringing the personality of Puyo Puyo has helped remarkably, and then Sega went the extra mile to really overload the game with colour and energy. If anything, the overwhelming brightness of it all can be too draining for really long play sessions, but as visual faults go, that’s certainly a breath of fresh air that I welcome after so many hundreds of games with “realistic” (read: dull) art palettes and so much seriousness everywhere. For all its wealth of content, Puyo Puyo Tetris does rely on developing and then maintaining a strong online community for truly long-term value. As a local multiplayer game, you’ll be glad to have it around for the parties, and it’ll help plane trips and other long travels fly by in a snap. Get hooked into the game’s steep learning curve online, however, and you’ll have a game that you’ll be playing for months, if not years, and not once, for even the briefest second, will the game lose its charm.